Northern Lights invites you to enjoy true rest and relaxation. 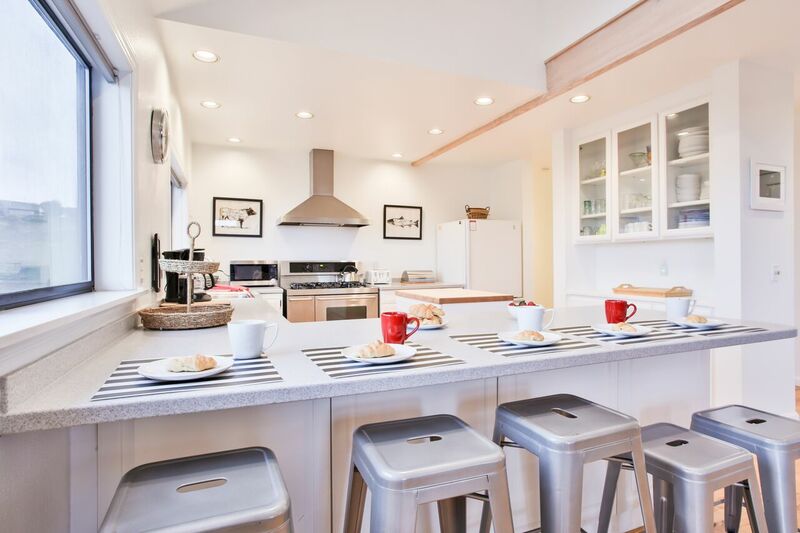 This house has a calming ambiance with just the right blend of modern meets french farmhouse. From the calming canyon landscape to the majestic pacific views, Northern Lights is a retreat away from your everyday life. If you are looking for space you have come to the right place. The entry level is all about the open and airy floor plan as the large kitchen, dining and living room spaces flow seamlessly together with sliding glass doors leading to a wrap around deck. The upstairs has the master suite sweet with fireplace, 46 in. flat screen TV, private full bath and a cozy outer area for reading, quiet conversations or a great movie (another flat screen with DVD,CD payer). Northern Lights offers 4 bedrooms, 2.5 bathrooms, a quiet sitting area and a wonderful Game room! Looking for entertainment other than the nearby beach? There are 4 TV's (including a HD projector in the living room), WiFi, a game room complete with darts, a Pool table, PS3, TV (DVD player) and comfortable seating. 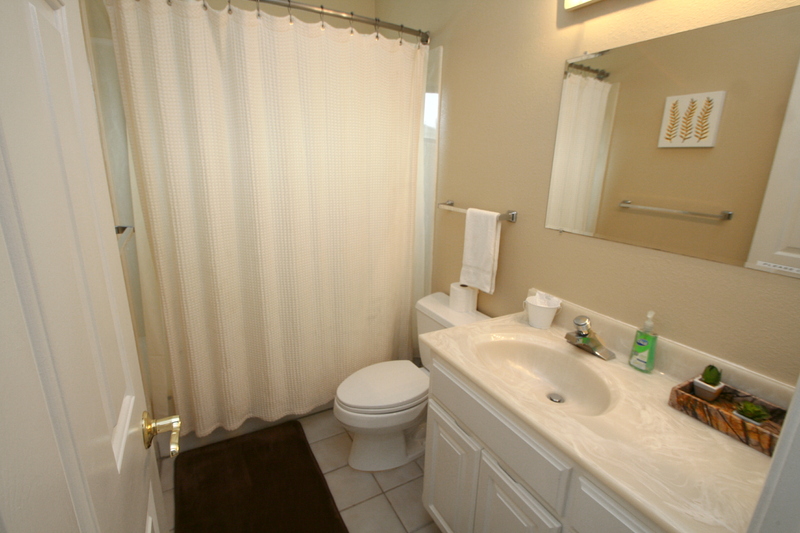 There are also 3 decks so lots of room to roam in this spacious 2,500+ sq.ft little something for everyone. Sleeping arrangements: Entry level- 1 bedroom with a bunk bed which has a trundle. Makes 3 twin beds. 2 more bedrooms both with queens, the upstairs master bedroom with a king bed, a den-like room with futon and an EZ bed. Friendly Reminder -The maximum for this house is 12 people day or night with 4 cars Max day or night with no on-street parking. No Pets. We absolutely loved this house. 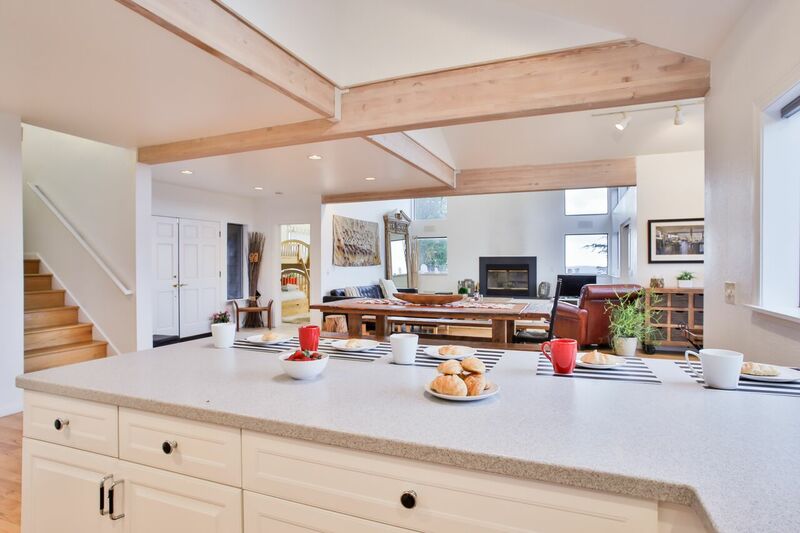 Large open floor plan from the living, dining and kitchen. 4 bedrooms, all good sizes. 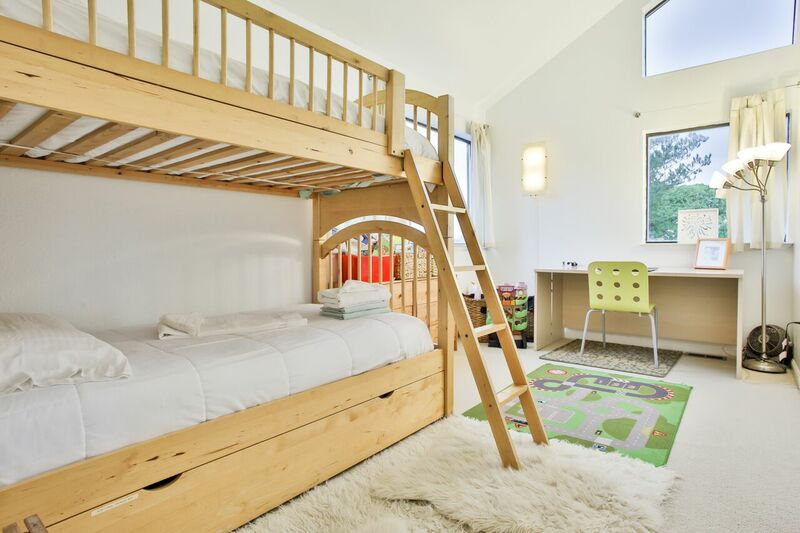 Upstairs is an extra tv space for older kids. 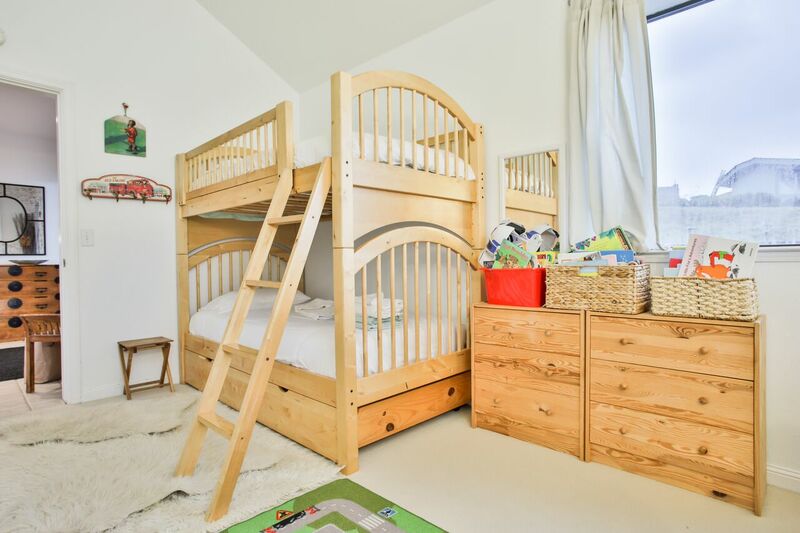 Downstairs is filled with smaller kids toys, this home is perfect for a family. On top of all that the "game room" for the kids turned into an adult playground, with the hot tub right off the side, it was perfect for everyone. The kitchen is loaded with anything you need. Overall, really great home. We had a great trip with just a group of us ladies. The views were amazing, the house was awesome, and the proximity to everything that we needed was perfect. 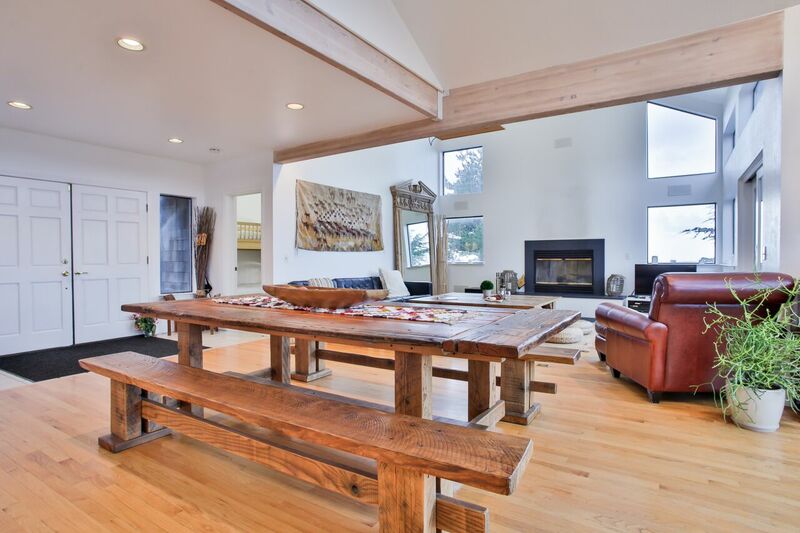 Manager response on 2019-03-13 - Response from Dillon Beach Property Management, Inc.
What a beautiful home to celebrate Thanksgiving. Very spacious for a family gathering. I would recommend this home to everyone. This was the perfect getaway for a group of old friends. We had a blast - the house was well stocked, warm, and had a projector as well! The views were amazing and you could walk down to the beach if you're up for it. We did not use the hot tub. We did not need to get in touch with management during our stay, however they did email to check in which was really nice. We definitely want to come back! Manager response on 2017-12-26 - Response from Dillon Beach Property Management, Inc.
Easy access and tons of information, maybe cut back on the amount of emails you send leading up to the check-in (very repetitive and could be sent just once). beautiful views & decor...wifi & mobile service unpredictable, needs more towels but otherwise wonderfully appointed. would stay at again! 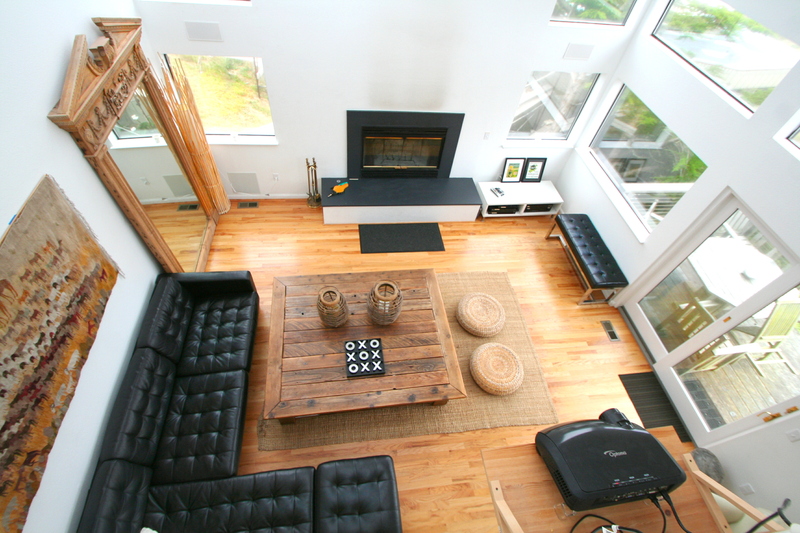 The spacious well appointed home was perfect for several families to gather. The layout and furniture were perfect for a large group. Great house for a big group. The communal dining room table and big kitchen were perfect for our getaway. Thank you! The house was beautiful and spacious. We were very happy with it. It was a clean home. There were only a couple of kitchen towels for us to use but luckily I had brought a few with me. Lots of kids toys, cups, plates, and bowls which was nice since we had a one year old and 4 year old with us. 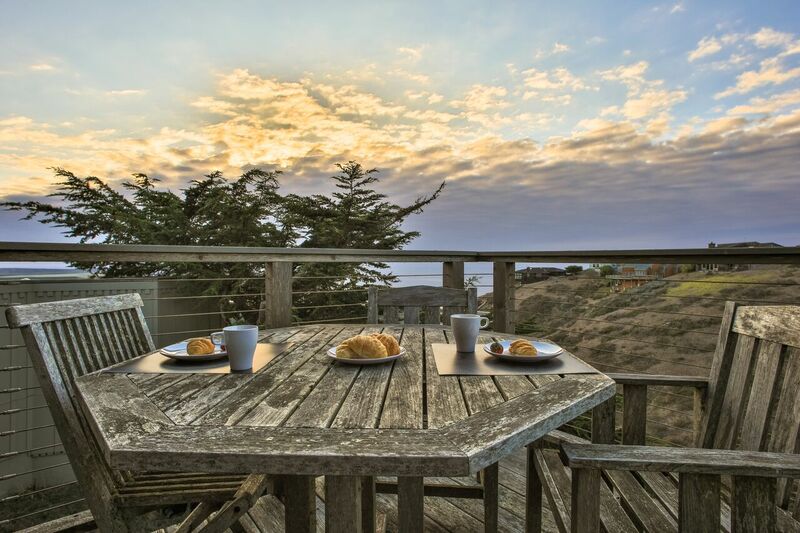 Manager response on 2018-07-19 - Response from Dillon Beach Property Management, Inc.
Lovely home, beautiful view. Appreciated the voicemail after arrival to see if we needed anything. There were a lot of rules to keep track of and we had to do a lot of cleaning before leaving - isn't that the point of a cleaning crew? Otherwise, great spot. Would return! Manager response on 2017-01-03 - Response from Dillon Beach Property Management, Inc.
Great for friends/family (children) to spend time together! Great house to spend time with family & friends. 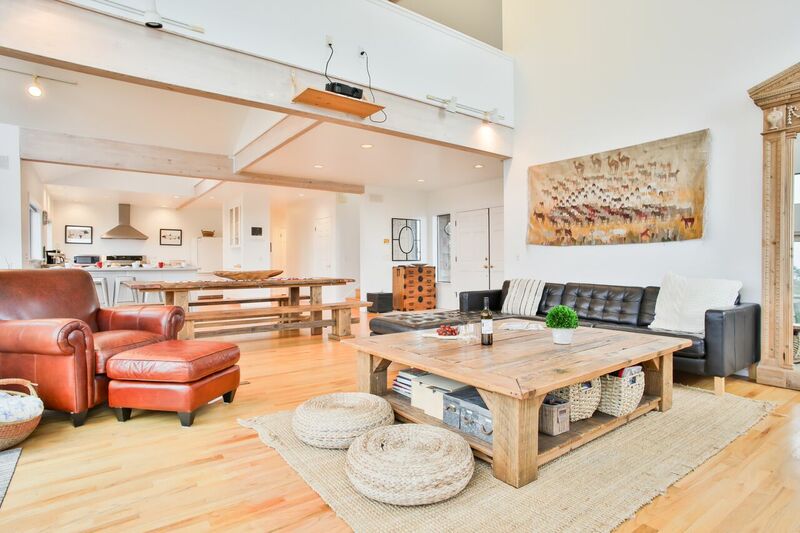 Great layout, big kitchen, living/dining room area to hang out. 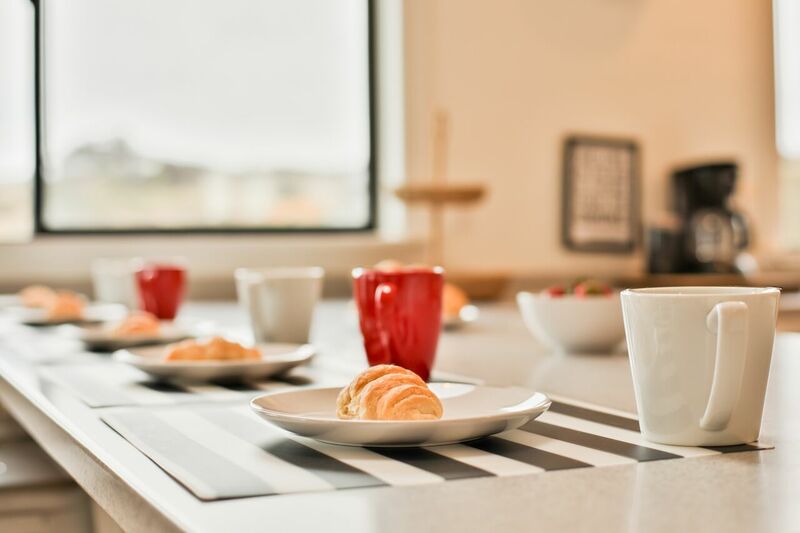 The kitchen is equipped with everything you can ever need when cooking; plates for kids, to serve, plates for adults, all kinds of cups, glasses, mugs...Love it! The kids loved playing with all the toys, riding the tricycles and playing basketball. The only downside for us: We stayed in the master bedroom and for the first time, we had a hard time sleeping comfortably. One side of the bed makes a lot of noise when you just move a little...and the bedroom door needs a little wd40! but the privacy upstairs was really nice. Manager response on 2017-02-01 - Response from Dillon Beach Property Management, Inc.
Beautiful house, looks just as pictured. 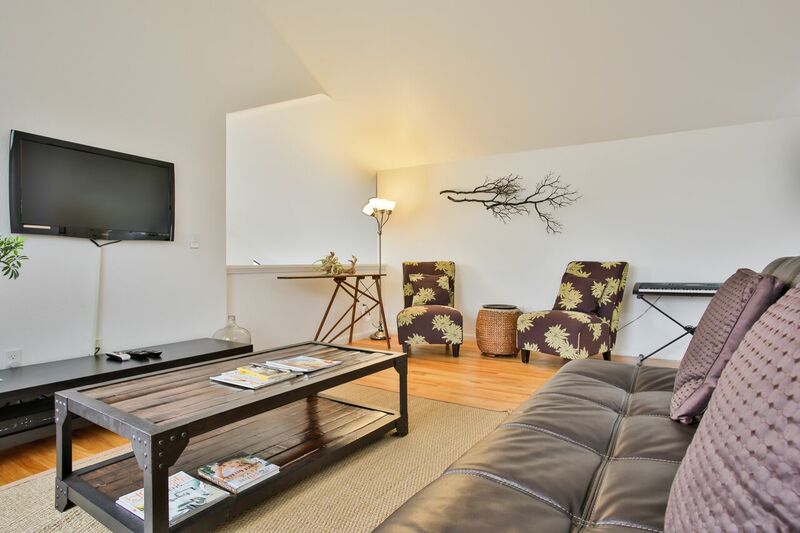 The kitchen, main living room, and dining room are beautiful and accommodate large groups. Plenty of sleeping space for everyone, and great home projector system. Two small items that the property owner should look at: the door for the downstairs 1/2 bathroom does not lock; and the wifi router should be replaced, it occasionally stopped working and required powering down/up to get it to function properly. These are small items, though, and overall the house was great and I would recommend. Manager response on 2017-03-22 - Response from Dillon Beach Property Management, Inc. Spent a weekend at this property with a group of friends/coworkers for a retreat, and what a treat it turned out to be. 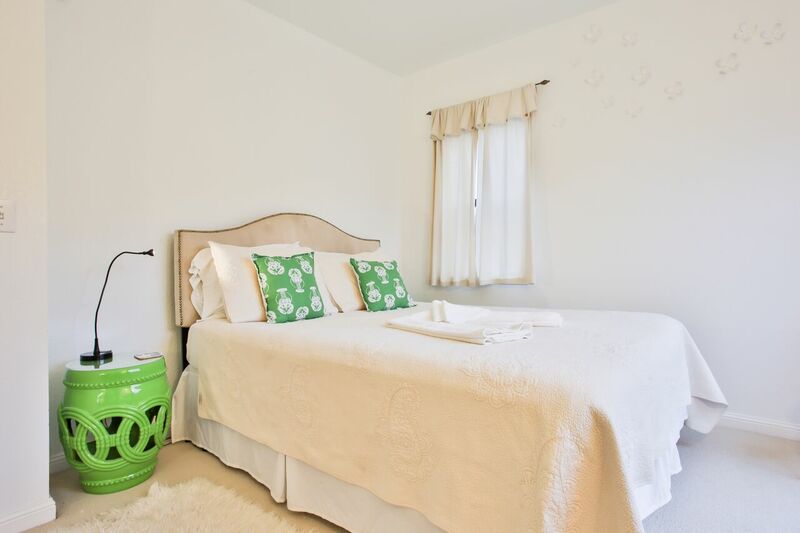 The warm, inviting, beautiful space added so much to our bonding activities and the overall atmosphere. The location was perfect for exploring nearby towns (Tomales, Bodega Bay) and seeing the lush countryside and gorgeous coastal views. The large, well-stocked kitchen made cooking together a breeze. Could not have been happier with our choice! We had a great trip with friends to Dillon Beach. This house was just what we were looking for with great shared space to spend time with friends and our kids. Manager response on 2017-04-26 - Response from Dillon Beach Property Management, Inc.
We were extremely happy with both of the houses we rented for our family!!! Just about all of our needs were met for a comfortable and fun stay. Thank you so much for making us feel at home away from home!! We had a great stay overall. The home was large, had a great open concept and the views were remarkable! The home was clean and in great shape, the kitchen well stocked and we loved that the home was kid-friendly! The rental management staff was great and was always quick to respond to any questions I had. I would definitely recommend this property! Had a wonderful time making family memories in this beautiful home! Lots of space; well equipped with everything! 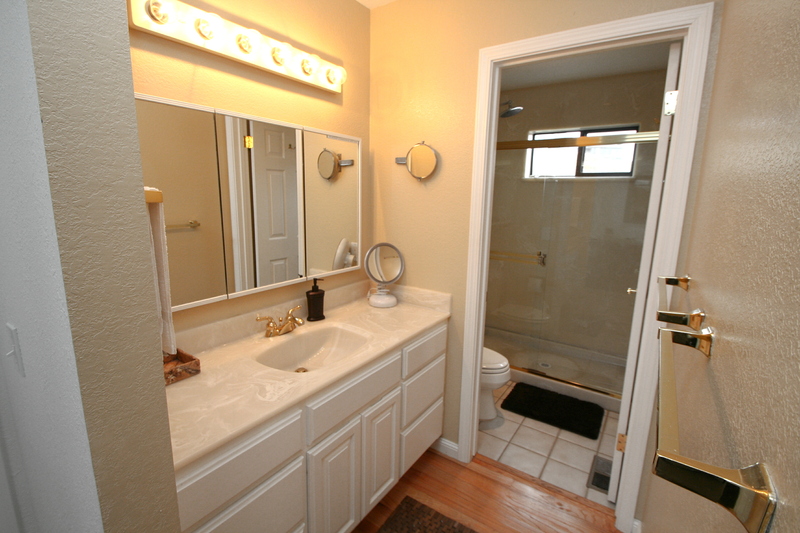 Very clean and well maintained! We hope to go back again someday! 10 friends had a very enjoyable 2 night stay at Northern Lights. The location was perfect for a spooky halloween themed birthday. The only issue we had was that we couldn't get the hot tube to heat fully so we didn't get to enjoy it. But otherwise the weekend was perfect. Manager response on 2017-11-01 - Response from Dillon Beach Property Management, Inc.
Beautiful place, many amenities, no problems. Our lives are so busy. This home was the perfect place to relax, take deep breaths and focus on family. There were 11 of us (7 adults and 4 kids) and we did not feel crowded. The big table enabled us to play cards at on end and board games at the other end. Manager response on 2013-07-21 - Response from Dillon Beach Property Management, Inc. 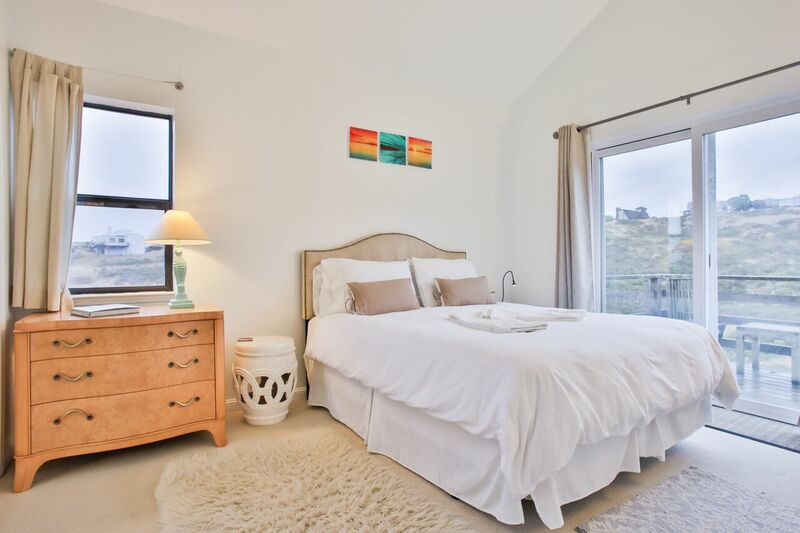 The property is on a hill above the beach,it is peaceful and bright. The kids enjoyed the open plat space and the pool table. Manager response on 2013-07-08 - Response from Dillon Beach Property Management, Inc.
We had a ball! But BTW - I have done this review once before. I wonder why you didn't receive it? Manager response on 2013-12-18 - Response from Dillon Beach Property Management, Inc.
Lots of room. Great view. Great time in this beautiful house. Nice open floor plan. 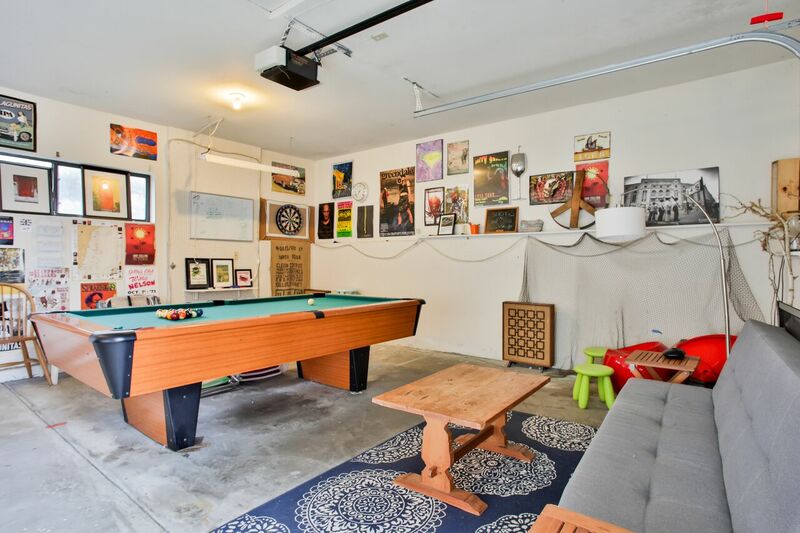 Description of garage/den/pool table room maybe a bit misleading. Manager response on 2013-09-30 - Response from Dillon Beach Property Management, Inc. 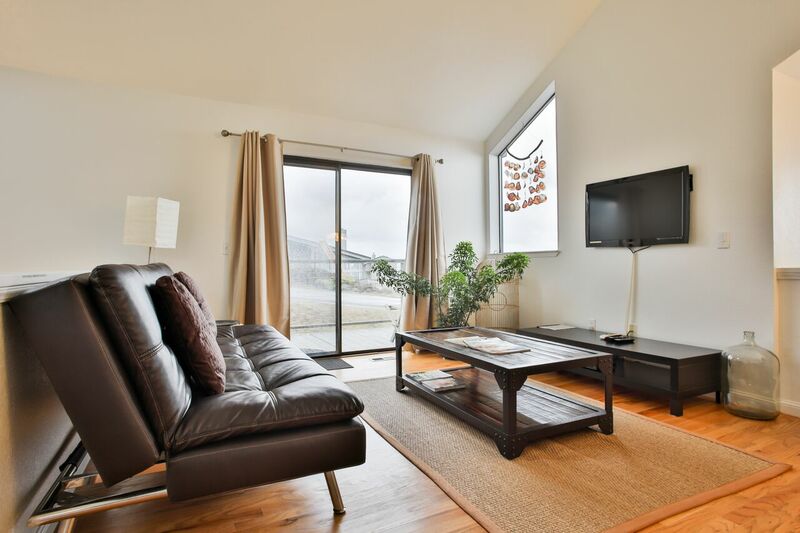 Wonderful large & open living-dining-kitchen area, perfect for cooking together and visiting. Well equipped & spacious kitchen, great gas grill with reserve canister of gas. Comfortable beds. Beautiful views! We stayed in this house for an annual gathering with friends, Northern Lights has been the best house yet! 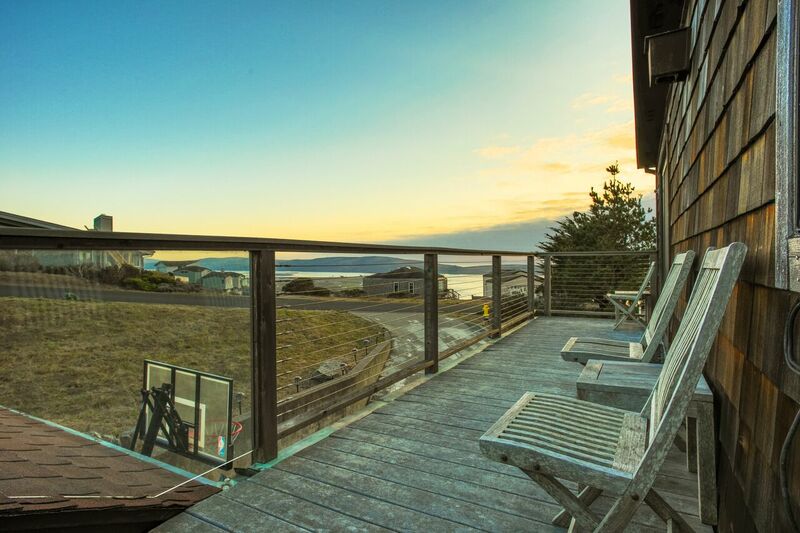 Manager response on 2014-03-12 - Response from Dillon Beach Property Management, Inc.
A great getaway with a great view! 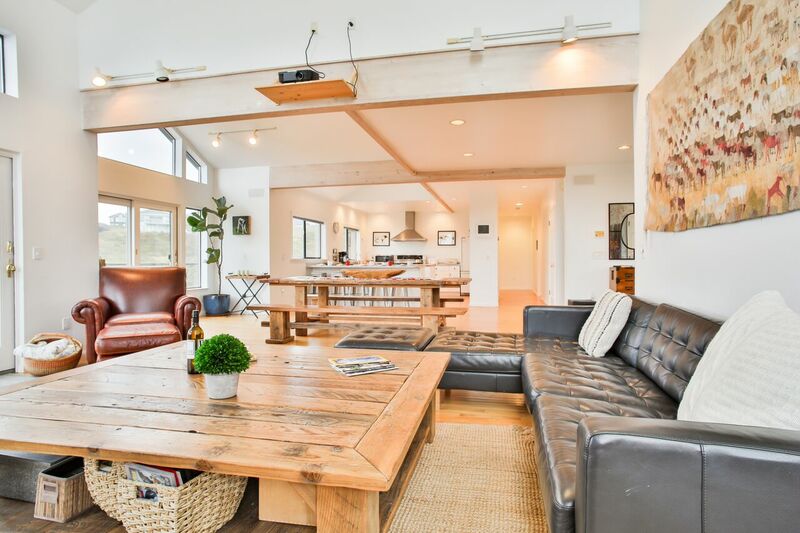 Had a great visit to this nice Dillon Beach house. Nice open concept floor plan in the main entrance. Great places to hike nearby and the beach is just down the road. The view was killer as you get great sunset visibility and watch the fog roll in. All the amenities were everything we could ask for. The kids room with toys included was a big bonus!! Look forward to staying here again! This was our first time at Northern Lights although we have stayed at Dillon Beach for New Year's week/end for about five years now. DBPM is great to work with with and I appreciate them helping us out with a few details and making our stay smooth and issue free. 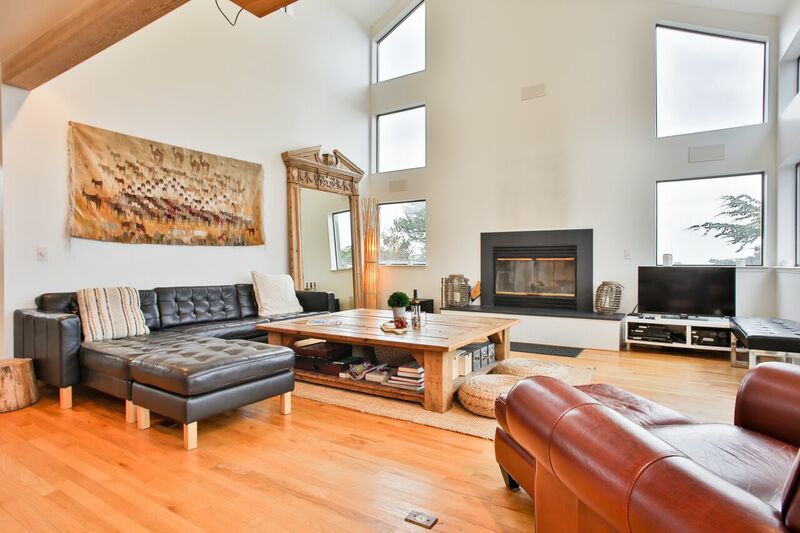 Manager response on 2015-01-05 - Response from Dillon Beach Property Management, Inc.
Our men's group, seven meditators, had our yearly retreat and enjoyed this light-filled home! Had a great time and the house was beautiful. My only suggestion is to have more seating in the living room. Add a couple of more chairs and the one chair in there was not good. Couch was wonderful. Manager response on 2014-12-20 - Response from Dillon Beach Property Management, Inc. 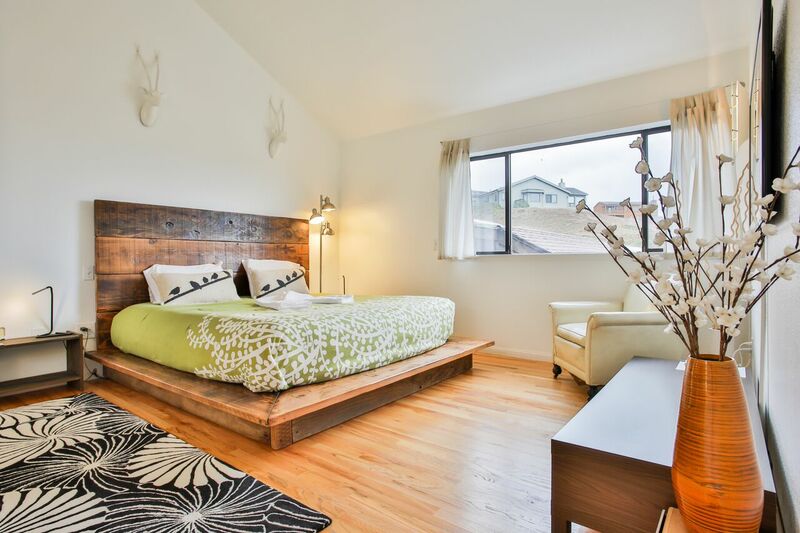 This very large and beautiful home sleeps 12 - Perfect for our family. Ocean views from inside the home were wonderful. I knew there were great views outside but the views inside were a great surprise. 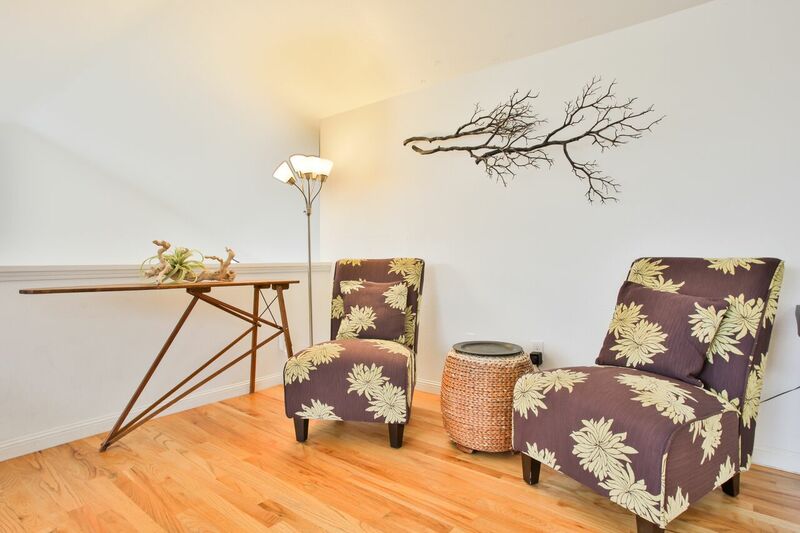 Wonderful hardwood throughout the home. The kitchen was supplied very well. We lacked for nothing. And cooking a meal like Thanksgiving we particularly loved the little second oven. This is a wonderful home that we would certainly rent again. 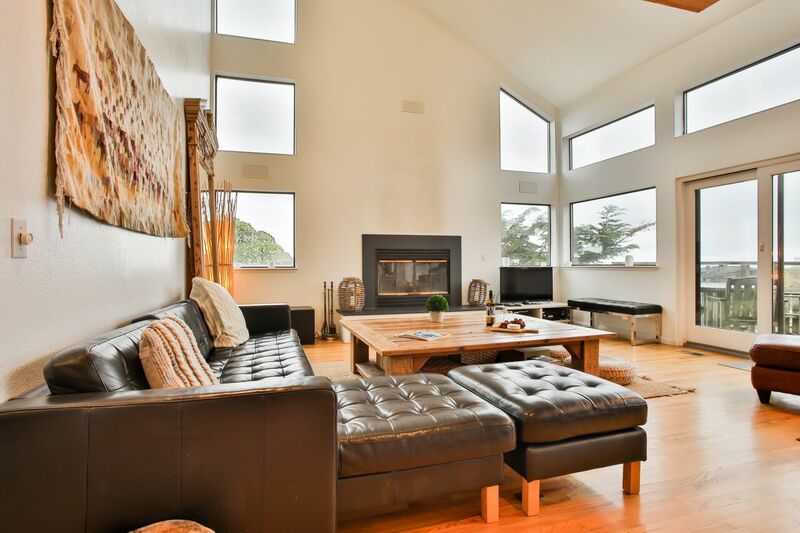 Manager response on 2015-11-30 - Response from Dillon Beach Property Management, Inc.
Beautiful house on a very picturesque (when fog allows, it was 50/50 for us) seaside hillside with partial sea view. House comfortably slept 10 people in 4 bedrooms and leather couches were fine for 2 more. Enjoyed a hike and kayaking around Point Reyes/Tomales bay. Plenty of fresh oysters around, don't miss Rocker Oysterfeller 15min drive away! We also had fun in the house with dart, pooltable, Ps3 games and impromptu blackjack set up on the kitchen counter. Warmly recommend for friend and family getaways. Manager response on 2015-08-11 - Response from Dillon Beach Property Management, Inc. 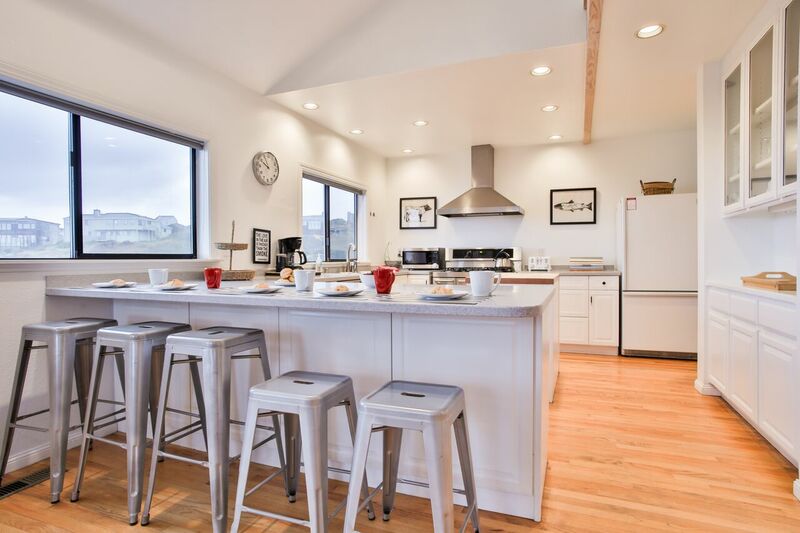 Manager response on 2015-12-29 - Response from Dillon Beach Property Management, Inc.
We spent a wonderful week in Dillon Beach. This house is perched on a hilltop with amazing coastal views and equipped with everything to make it truly feel like a home away from home. I would highly recommend this home to anyone looking for a coastal retreat and looking forward to renting it again! 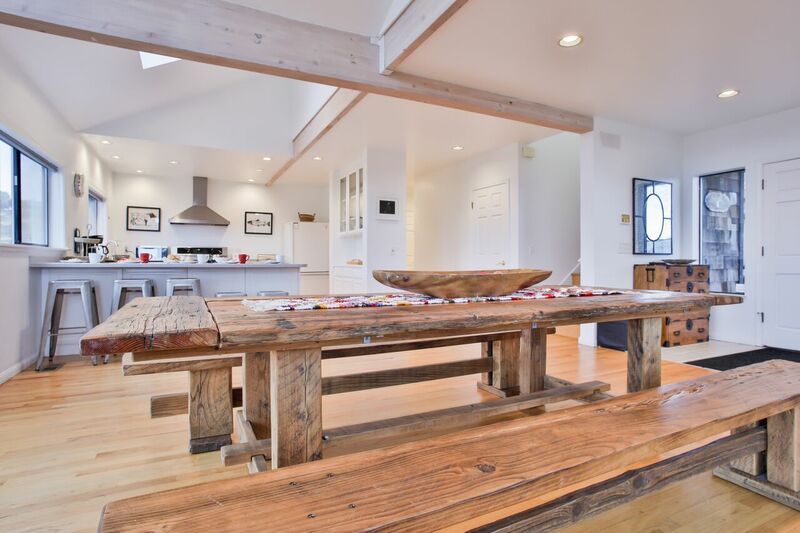 Manager response on 2016-01-04 - Response from Dillon Beach Property Management, Inc.
We wanted a place by the beach to celebrate my wife's birthday and we found it with this incredible location. It was the perfect location for a large gathering with one large room and a giant bench style dining room table. The projector made the perfect backdrop to music. There was even some confusion about the booking, and the managers came out and cleared it all up in our favor with kindness and grace. We will definitely come back. Manager response on 2016-02-09 - Response from Dillon Beach Property Management, Inc. It had been a long and stressful day, but as soon as we opened the front door of this Fabulous home, all the stress disappeared. We love the open space the large windows. 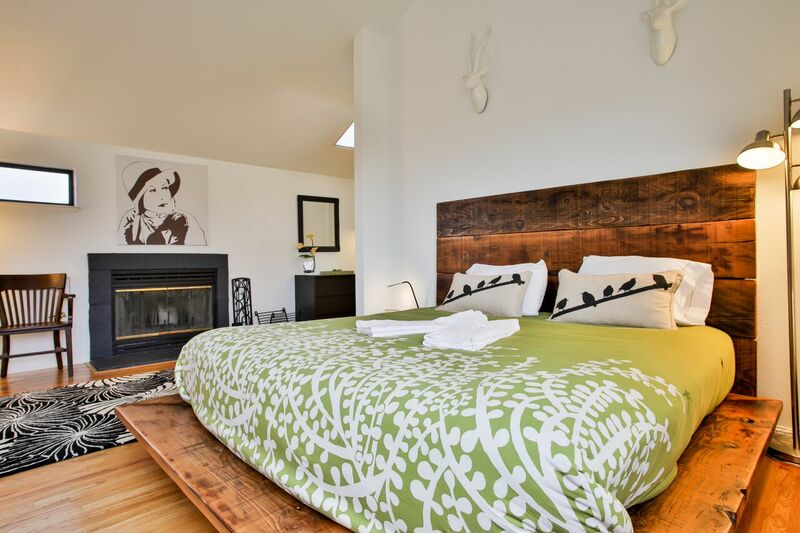 The decor and furnishings are right on point of what you would expect from a Beach house. We loved that it was kid friendly and there were toys. Our daughter and son-in-law were flying in with their small daughters and we were concerned that they might be bored without any toys. It was a great surprise and relief to have a room just for them. The home was very clean and the owners have thought of everything. We surprised my 80 year old mother with a cake to celebrate her Birthday and took family pictures on the beach. The home the destination made great memories for us and our family and we highly recommend Northern Lights to our friends. We only wish we could have stayed longer. Definitely want to come back again. Thank you! Manager response on 2016-08-04 - Response from Dillon Beach Property Management, Inc.